I’m a big fan of TED talks, short presentations by engaging speakers on a variety of topics, so I picked five videos that I thought were particularly valuable for educators. Here are a few videos that will help you keep your mind active, even if you’re stuck indoors this weekend. This inspiring talk from a teacher, writer and member of the Kenyan parliament reminds the listener of the value of education – a privilege many in more developed countries take for granted. Mae Jemison is an astronaut, a doctor, an art collector and a dancer. This talk encourages a breakdown of the paradigm that sees arts and science education as an either-or proposition. This sobering talk (another 18-minute opus) presents listeners with examples of the everyday oppression of women around the world. This session reminds us of the enormous waste involved in hindering the education opportunities of women. 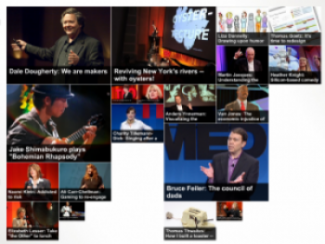 Presented at TEDxNYED last March, this video features Chris Lehman, founding principal of the Science Leadership Academy and closing keynote speaker for ISTE 2011. His discussion of how Web 2.0 tools are changing and advancing education is both engaging and inspiring.